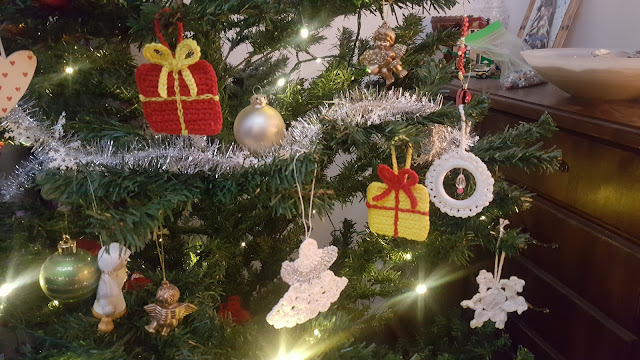 For few years I have had a tradition that I crochet a new ornament to our Christmas tree. This year the ornament was a gift box by Eleonora from Coastal Crochet. 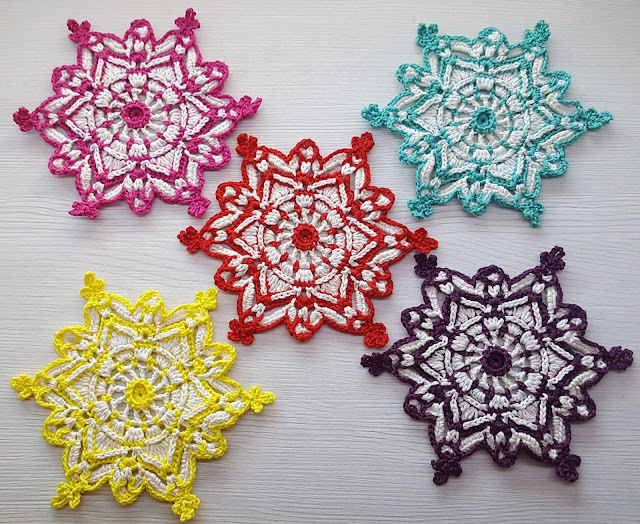 Simply Crochet -magazine published 7 decorations by Eleonora in September issue, nr 75. I bought the magazine from Skipton when I visited Yarndale. For some time now, I have been admiring the work of Jillian from the blog Spin a Yarn Crochet. End of July she published this cute Pocket Fox pattern and I added it straight away to my to do list. 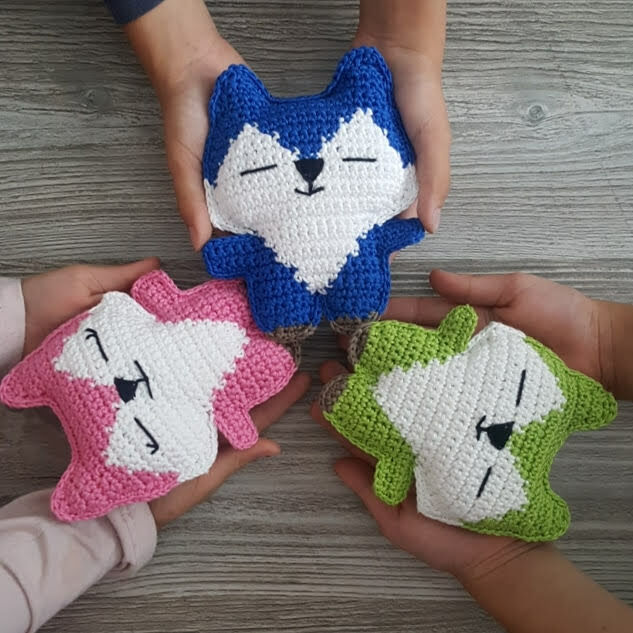 I made three foxes for my three children. In their favorite colors. The pink and the blue is made from Drops Muskat and the green is from Sirdar Cotton. Hook used is 3 mm. The pattern was very well written and the it was easy and fast to crochet. The children love their foxes, and needless to say that I love the foxes too. I just love The Loopy Stitich Emily´s patterns. Like this Starflake. I made few of these in November, as well as other Christmas decorations.